I have been on a very quick research trip to Khartoum. One of the things that was apparent was the utterly blunt nature of the sanctions imposed by the United States. Talk of ‘smart’ or ‘targeted’ sanctions is nonsense. The sanctions impact on a wide range of people who are not key figures in the Sudanese government. What is more, the sanctions are counterproductive in that they provide a useful mobilisation tool for the government around the message of the unfairness of the sanctions and the perfidy of the United States. US sanctions against Sudan date from 1997 when it was accused of being a state sponsor of terrorism. These sanctions, which include an arms embargo and financial restrictions, have been modified (and somewhat eased) over the years. In 2004, amid the Darfur conflict, the UN introduced an arms embargo. It is the US financial restrictions that have the real bite beyond the Sudanese government. Because international finance houses (banks, credit card companies, travel companies) are afraid that they US will penalise them for trading with Sudan, they simply do not do business in or with Sudan. These sanctions are an irritant to many people who see them as unnecessarily punishing a broad section of people. –	Western credit cards do not work in Sudan. That means one must have an Arab bank account or use cash: difficult for travellers. It also means that a lot of online purchases are impossible. –	Many drop-down boxes on online menus do not include Sudan as a country of origin. This means that it is difficult to access the latest software for phones or tablets or make online purchases (e.g., air tickets). –	Sudanese students who wish to study in the UK have great difficulty opening a bank account. Because UK banks have extensive links with the US, they do not want to fall foul of US sanctions (and the hefty fine that accompanies this) and so it is easier to leave Sudanese students without any banking services. Those Sudanese who are well-connected with the government are well-placed to circumvent the sanctions. Many have dual nationality and overseas bank accounts. They are OK. It is others, who hold a plurality of opinions that could be very useful for Sudan’s future political development, who suffer most. And because of the irritation factor they share the Sudanese government’s bitterness towards the US. If the sanctions made life utterly impossible then people might turn against the government. Instead, it is just an irritation that is easier to blame on the US than embark on widespread opposition to the Omar al-Bashir government. The sanctions seem illogical or inconsistent. There are lots of US products around (from Hersheys chocolate to Caterpiller diggers). Western firms make sure that their products can be bought (for example, JCB – a digger maker and a large donor to the UK Conservative Party is a prominent advertiser across Khartoum). The US and Sudan do have diplomatic relations, although the US has not appointed an ambassador for many years. 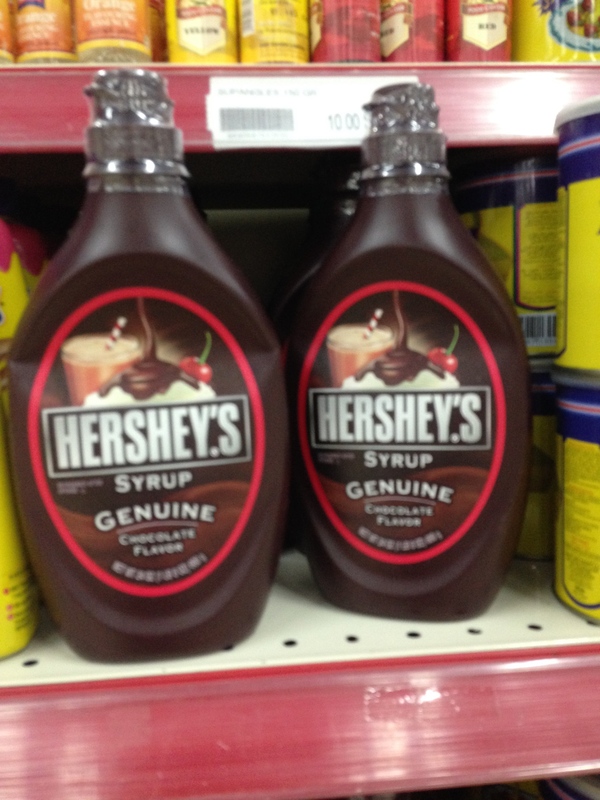 Hersheys for sale in the Khartoum shop. We live in an era of very sophisticated financial instruments. Yet many Sudanese are subject to very blunt sanctions that are unproductive. They are a mobilisation gift to the government. One would be looking to the Sudanese middle class to engender diversity and a plurality of opinion that could be progressive for Sudan in term so of relations between peoples in the country. Yet, this constituency is clobbered by sanctions.